The core collection of the Aga Khan Museum includes works of art that were collected by the uncle of His Highness the Aga Khan. The late Prince Sadruddin Aga Khan (1933-2003) started collecting in the 1950s, while still studying at Harvard University, and with his wife, Princess Catherine Aga Khan, continued to collect throughout his life. The greatest strength of his collection lies with the arts of the book. Those treasures, along with others from the collection, were exhibited around the world in the years before the Museum’s 2014 opening. 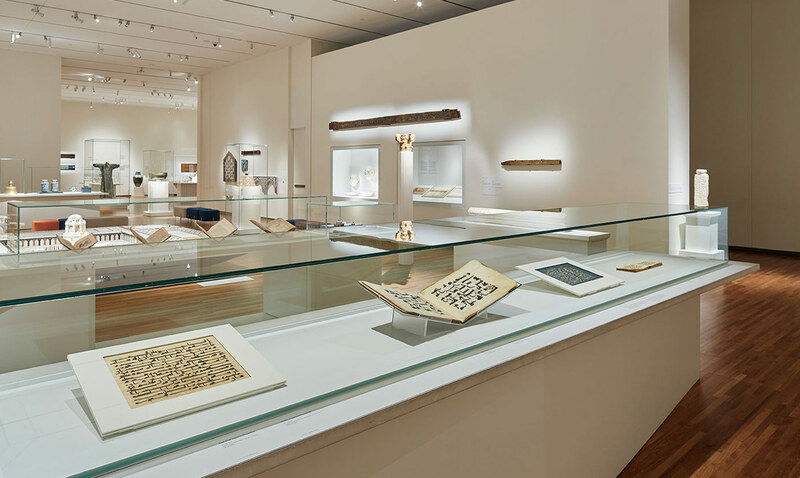 His Highness the Aga Khan and his family have continued to contribute to the growth of the collection that is now the foundation of North America’s first museum exclusively dedicated to Islamic arts. The Museum’s Collection of over 1,000 objects includes masterpieces that reflect a broad range of artistic styles and materials. Artworks such as manuscripts, painting, ceramics, glass, and textiles represent more than 10 centuries of human history and a geographic area stretching from the Iberian Peninsula to China. There are approximately 250 objects displayed at any one time in the Aga Khan Museum’s Permanent Gallery space. It provides an overview of the artistic, intellectual, and scientific contributions of Muslim civilizations to world heritage. Twice a year, sensitive and organic materials such as textiles and works on paper are “rotated,” with some objects returning to the Museum storage while others are brought out for display. This limits the artworks’ exposure to light and other environmental variables, ensuring the long-term safety of the collection.